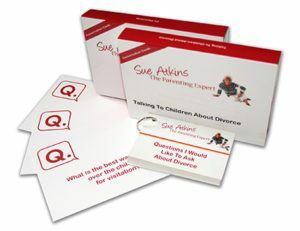 “How do I help my children cope during my divorce?” is a question that many parents ask me so I have created my ‘Supporting Children Through Divorce’ 6 week coaching programme specifically designed to help your child feel supported, nurtured & heard so they can adjust in their own time, to the many changes that divorce inevitable brings. “Divorce” is one of the scariest words that your child can ever hear because it means there will be lots of changes and that can be upsetting and frightening. Things will be different and that can be worrying. 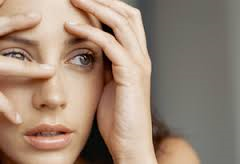 Separation and divorce are traumatic events for families. My coaching programme is designed to help your children express, explore and understand some of their strong emotions that they may be feeling and to help them process the divorce for themselves, sometimes independently from you, as you are going through your own challenging and stressful journey. Some children due to their circumstances, personalities or sensitivity will be particularly vulnerable to the changes that divorce brings. 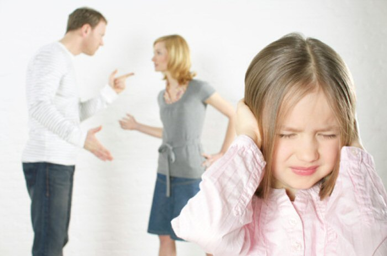 Some children whose parents are divorcing will experience, depression, anxiety, anger or behavioural problems. Some children will cope better than others. There is no right or wrong way to handle the challenges and changes and it may take several months, or even years for your child to feel life is ‘normal’ after experiencing a divorce so a positive, respectful, patient approach is needed. Working with me your child can express their emotions free from judgement, guilt or pressure. Then they need a helping hand to move forward accepting what has happened to their family, ready to focus on the positive future ahead when they have processed, accepted and got used to the changes. 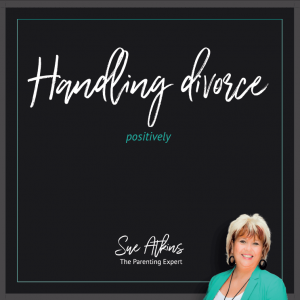 Divorce is a process NOT an event and there are many really strong feelings your child might have – from anger, fear, or sadness to feeling confused. Sometimes they feel all these emotions at the same time. It can all feel a bit overwhelming. Working with me once a week either here at my practice, or on Skype is a very simple, but powerful way to support your children. As caring adults, we can help by simply acknowledging & listening to how a child may be feeling, without trying to “fix it.” My Supporting Children Through Divorce’ programme is designed to support open and honest communication and to help children feel heard, understood and supported during a time of great upheaval. 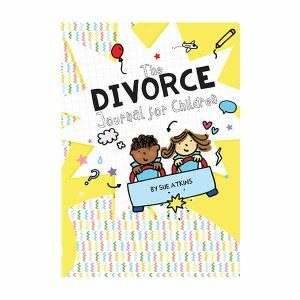 Using my ‘Divorce Journal : How To Help Kids Cope With Divorce’ as a starting point, we explore what separation and divorce mean, what happens during a divorce, and we celebrate family members from brothers and sisters to Grandma and Granddad. 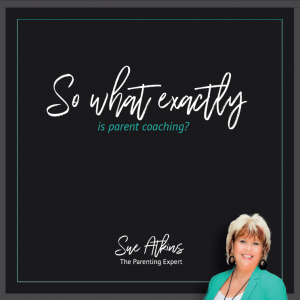 We talk about what stays the same and what changes, we look at happy memories and what’s great about both Mum and Dad, what they like doing with each of you and what’s important to them. We look at nurturing their self -esteem using my 5 Step Self-Esteem Steps – and we celebrate what they are good at and what others love, respect and admire about them. We also look at ways to support them at home and at school. I have written about the ‘Ages & Stages’ of how children process and understand divorce to help explain what’s happening to your kids at various ages and stages of their development.